Mar 20, 2015 Rich Piana Crea-TEN: TEN Kinds of Creatine! WAAAT! 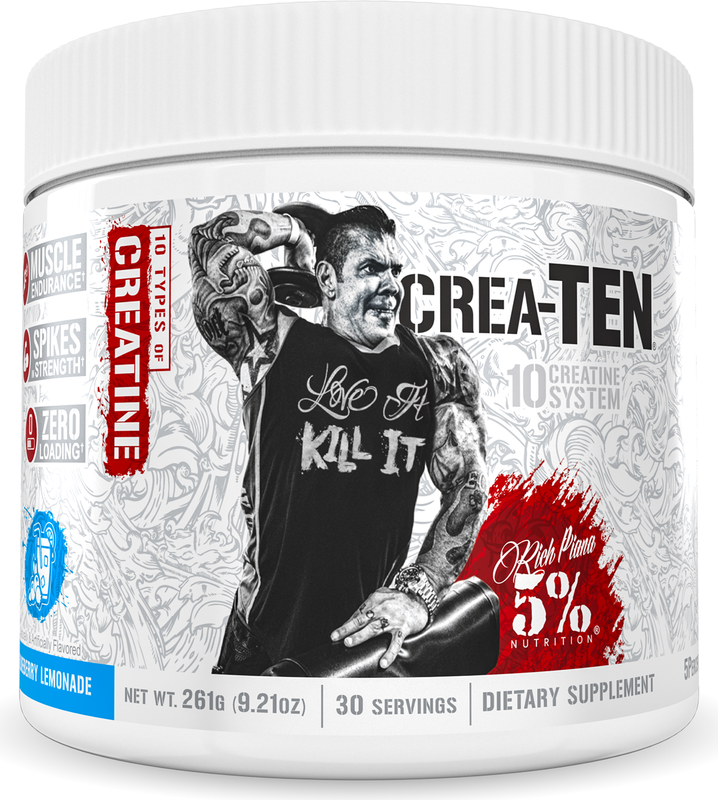 For the most intense information on all of these creatines, see our blog post about Rich Piana's CREA-TEN! Rich Piana's 10 Creatine System! No product in the bodybuilding supplement market has been more proven to work than Creatine. Creatine has been used for so many years, but now with today's technology, it's a matter of WHAT TYPE of creatines and the combination there of, and how to better get creatine into your muscles. Let's throw in 10 of the best types of creatines on the market and add transporters to expedite the creatines to your muscles!!! Rich Piana's philosophy is that if you are gonna' do it- let's do it right! Not only does Crea-TEN have 10 different types of creatine in it, Crea-TEN also has 8 different ingredients in it specifically as added extra assistance to ensure your muscles can successfully uptake the creatine into your muscle. These ingredients are transporters and ingredients that greatly increase your body's ability to soak up creatine deep into the muscles. Don't miss out on muscle energy, explosive style power, extra reps, heavier weight, cell volumization, and muscle energy by taking anything but the best- Crea-TEN.